The weekend is here! We are so close to the weekend, who has that Saturday summer feeling? Here is a deliciously healthy and refreshing summer breakfast bowl idea, to start your morning with a bang. If you are a chocolate lover, then this is for you. 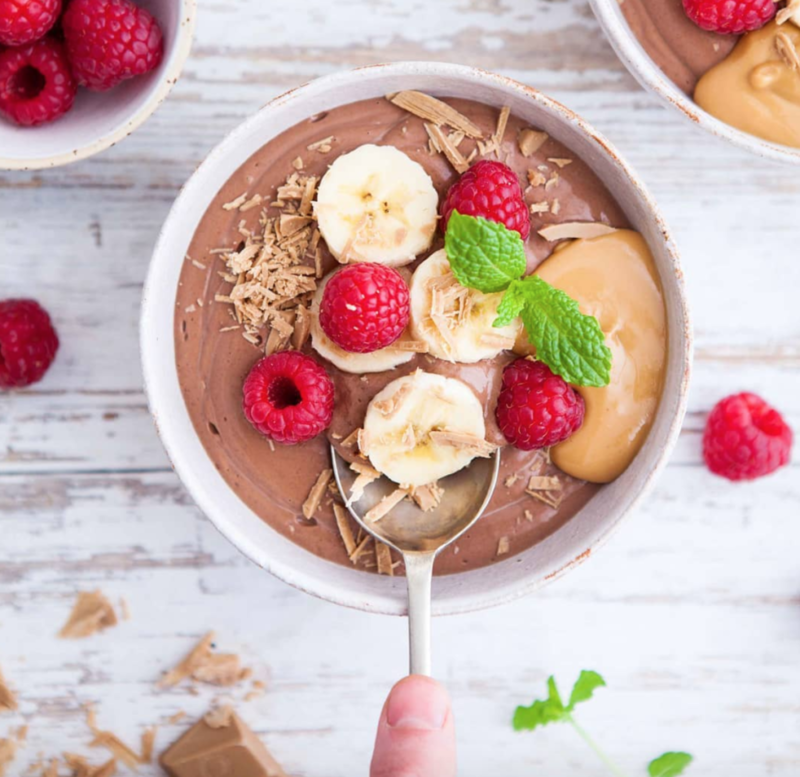 This raw healthy chocolate mousse is not only tantalizingly tasty, but also bursting with goodness. It is super quick and easy to make, vegan and sugar-free. Purée the avocado until smooth. Blend together the cocoa powder and milk until combined and add to the avocado. Stir in the stevia, vanilla extract, and any extra ingredients you want to add. Transfer the mousse to individual bowls and store in the fridge until ready to eat.